This book is an extensively revised edition of a highly successful and comprehensive introductory manual for the use of clinical hypnosis in the treatment of medical and psychological problems and disorders. Written with the interests and needs of the doctor or dentist in mind, its practical and clear approach maintains the tradition of high-quality information and usefulness established in previous editions of this book. 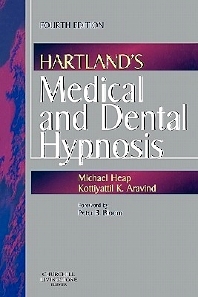 After exploring the theoretical and historical background to hypnosis as well as key techniques and approaches, the book looks at specific clinical situations and problems in which hypnosis may have an impact, and offers specific practical management guidelines including possible scripts.